Even through our latest buy we can be as ever undecided with an incomprehensible askance whether we have been cheated. But it is more of our ignorance than anything else that might have turned out to be the bliss, not for us but, for our wily shopkeeper. The man sitting across the counter, of course, may not look alike the master of sorts but might have got enough of wits and guts to distract us from bare essentials of any deal-discourse. Though the buyers with their little knowledge are always at receiving end of even simple transaction as the chances of having been deceived are commensurate with our level of ignorance, yet we can minimise the scope of cheating if we, apart from following this universally applicable principle of ‘respect all but suspect all’, are also armed with some minimum common basics about ‘legal metrology’ or that part of weighing & measuring science and system which has got the sanction of the law. Through its extant provisioning ‘the Legal Metrology Act 2009’ which, after replacing its erstwhile twin peers ‘the Standards of Weights & Measures Act 1977’ and ‘the Standards of Weights & Measures (enforcement) Act 1985’ came into force w.e.f. 1st April, 2011 across the country and strives to protect consumers in many ways from being cheated or short-changed. 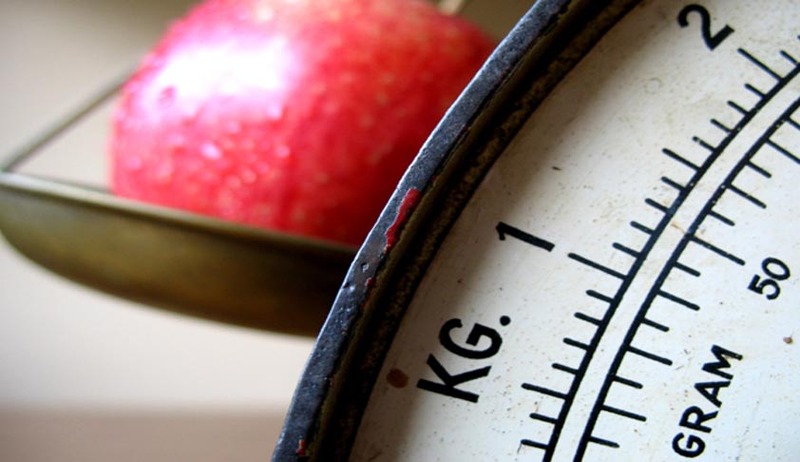 Like any other walk of human life surrounded by technological advancement, mechanised weighing & measuring too is rapidly being replaced by digitised weighing, which seems to give a bit more robust sense against probability of manipulations. Yet, at closer scrutiny, it will be unveiled that this innocuous looking ‘electronic weighing machine’ is as prone to maladjustment as its previous heirs. And, unlike in mechanised maladjustments, it is next to impossible to decipher the scope and quantum of deceit unless you are aware of the law, legal liability of the trader, latent manoeuvring scope and your own basic rights to demand a fair deal. It is known to all that, like all electronic devices, EWMs are programmed to follow a pre-ordained command that is privy to the manufacturer. The user can also have the knowledge, if not to the last but at least, to alter the command of pre-set programme. But the consumer is a distant helpless ever to know about abacus of its trail and tricks, neither he deems it necessary. To overcome this pervasive lack of knowledge, grand stands the law which mandates that every EWM must be verified and stamped by the department of legal metrology before the same is put to any use. Moreover, given that verification and stamping alone were not enough to protect consumer and to uphold his belief, law gives us the right to demand conventional weights to corroborate the accuracy of the device. For this, every shop keeper is legally obliged to keep at the place of its use the conventional weights in different denominations totalling up to one tenth of the capacity of weighing machine. These conventional weights, in their turn too, must be duly verified and stamped by the department. A departmental certificate is also issued in which details of EWM and the conventional weights, along with date of calibration and period of validity is clearly mentioned. This certificate must be displayed at the prominent place of trade. If a trader uses, or keeps to use, unverified instruments for weighing & measuring, fails to provide conventional weights to corroborate its accuracy or doesn’t display the requisite certificate, he is likely to be prosecuted under section 24 read with sec 33 of LM Act, in which he is liable to fine or imprisonment or both. The law implies not only in relation to the measuring devices which are actually being used. It says that every weighing or measuring instrument which is being used, likely to be used or intended to be used for transaction or for protection must have been verified by the department. It means all instruments kept within the trader’s premises, irrespective of the fact whether each and every one of them is not being used at the time of transaction or protection, must be verified and stamped. Contrary to common perception, this exercise is not confined to commercial activities alone. It encompasses the holy arena of medical profession, too, where human life or vegetation is sought to be protected. Through various readings obtained with the help of scientific instruments such as thermometer, sphygmomanometer, child weighing scales et al, the doctors arrive at the decisions as to what steps should be taken to set the malaise right. Unfortunately, overtly for twin factors of ignorance and resistance from medical fraternity, the science of metrology has not percolated to the desired level in our country. What the consumer is to do is simply lodge a written or oral complaint with the office of Legal Metrology, commonly known as Weights & Measures, in his area and the legal metrology officer will take care of all the rest. Since written complaints are recorded and tracked by higher officers, there is no scope left that no action is taken on your complaint. The identity of complainant is not revealed unless the context demands otherwise. So, we can weed out every cheat practice from the market provided we summon up the courage and collectively take upon ourselves the responsibility to be harbingers of the change as our country stands at the threshold of an imminent consumer revolution. This ‘respect all and suspect all’ column will keep on disseminating about how vulnerable we are to the commonly practiced sundry tricks of cheating and how the LM Act can be saviour of us through all this while.